To see the list of chapters click once on the title of this book. The AMA's newly revised Guides to the Evaluation of Permanent Impairment, sixth edition, emphasizes the fundamental skills physicians need to evaluate and communicate patient impairments. The sixth edition applies both terminology from and an analytical framework based on the International Classification of Functioning, Disability and Health (ICF), to generate five impairment classes which permit the rating of the patient from no impairment to most severe. A diagnosis-based grid has been developed for each organ system. The grid arranges commonly used ICD-9 diagnoses within the five classes of impairment severity, according to the consensus-based dominant criterion. This is a print on demand title and may take an extra week to ship. 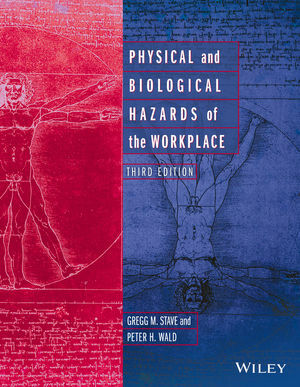 Updated and revised, this comprehensive reference is written in clear and accessible language. Provides complete overview of the hazards of occupational noise exposure including causes of hearing loss, testing of hearing, and criteria to distinguish occupational hearing loss. A comprehensive overview of occupational and environmental health nursing, the 4th edition updates and expands common core knowledge in OHN practice. New underlying concepts throughout the book incorporate evidenced-based practice and a global perspective. Practical case studies are included to reflect specific examples of application to practice. In response to reader feedback, this new version has been extensively revamped into a narrative format, which allows for more in-depth discussion of critical topics. 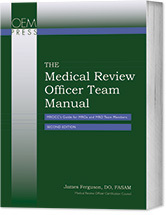 This text serves as a vital resource for a variety of readers, including beginning-level OHNs, experienced OHNs seeking a "consult" on a particular topic, OHNs studying for the occupational health nursing and other certification exams, faculty searching for authoritative source information, and interprofessional colleagues seeking information on the wealth of topics included in the fourth edition. This practical text helps case managers learn the fundamentals, study for the Certified Case Manager (CCM) exam, and advance their careers after the exam. 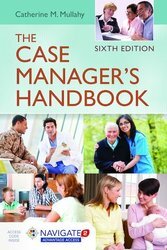 Updated and enhanced with information on the latest developments affecting case management, The Case Manager's Handbook, Sixth Edition, reflects the rapidly changing healthcare landscape, including the significant effects of the Affordable Care Act (ACA).